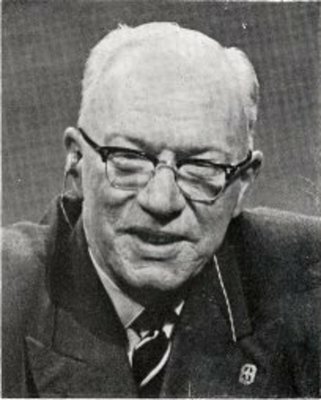 William Barclay (1907-1978) was a Church of Scotland minister, professor of Biblical Studies at the University of Glasgow, and author. These prayers are from his 1959 book The Plain Man’s Book of Prayers, pages 110-117 (edited). O God, our Father, bless and help _____ in the illness which has come upon him. Give him courage and patience; endurance and cheerfulness to bear all weakness and all pain; and put his mind at rest, which will make his recovery all the quicker. Give to all doctors, surgeons, and nurses who attend to him skill in their hands, wisdom in their minds, and gentleness and sympathy in their hearts. Help us not to worry too much, but to leave our loved one in Thy hands, and, in the hands of wise and skillful people who have the gift of healing. Lord Jesus, be with us and our loved one this day and at this time, and show us that Thy healing touch has not lost its ancient power. This we ask in the name of Jesus. Amen. O God, our Father, in our sorrow we come to Thee today that Thou may give to us the comfort which Thou alone can give. Make us to be sure that in perfect wisdom, perfect love, and perfect power Thou art working ever for the best. Make us sure that a Father’s hand will never cause His child a needless tear. Make us so sure of Thy love that we will be able to accept even that which we cannot understand. Help us today to be thinking not of the darkness of death, but of the splendor of everlasting life, and of being forever with Thee. Help us still to face life with grace and gallantry; and help us to find courage to go on knowing that the best tribute we can pay to our loved one is not the tribute of tears, but the constant memory that another one has been added to the unseen cloud of witnesses who compass us about. Comfort and uphold us, strengthen and support us, until we also come to the green pastures which are beside the still waters; until we meet again those whom we have loved and lost for a while: through Jesus Christ our Lord. Amen. O God, our Father, in whatever comes to us, make us able to stand on our feet, and to face it with steady eyes. Help us to be sure that we will never be tried above that which we are able to bear. Help us to be sure that Thy grace is sufficient to make even our weakness able to face and to conquer anything that can come to us. Make us sure that in the valley of the deep dark shadow, Thou art there to comfort and to support us; and that even when we pass through the waters, Thou art there to hold its up, and to bring us through them to the other side: through Jesus Christ our Lord. Amen. O God, my Father, who has portioned out all my life for me, I thank Thee for the good news which has come to me today. I thank Thee that Thou has given me success; that my hope is realized, that my dream has come true, and that my ambition is fulfilled. Keep me today and in the days to come from all pride and from all self-conceit. Help me to remember that without Thee I can do nothing. So keep me all my days in humility and in gratitude to Thee: through Jesus Christ our Lord. Amen. Lord Jesus, Thou knowest what temptation is like. Thou knowest how strongly the wrong thing fascinates me, and how much the forbidden thing attracts me. Lord Jesus, help me not to fall. Help me to remember my own self-respect, and to remember that I must not do that which is tempting me. Help me to think of those who love me, and to know that I dare not bring disappointment and heartbreak to them. Help me to remember the unseen cloud of witnesses who are all around me, and to know that I must not grieve those who have passed on, but who are forever near. Help me to remember Thy presence, and in Thy presence to find my safety. All this I ask in the name of Jesus. Amen. O God, Thou knowest that today I must make a decision which is going to affect my whole life. Help me to choose the right way. Grant me Thy guidance, and with it grant me the humble obedience to accept it. Help me not to choose what I want to do, but what Thou dost wish me to do. Grant that I may not be swayed by fear or by hope of gain, by selfish love of ease or comfort or by personal ambition, or by the desire to escape or the longing for prestige. Help me today in humble obedience to say to Thee: “Lord, what wilt Thou have me to do?” and then to await Thy guidance, and to accept Thy leading. Hear this my prayer, and send me an answer so clear that I cannot mistake it. This I ask in the name of Jesus. Amen. Ephesians 6:18a — Pray in the Spirit on all occasions with all kinds of prayers and requests.